In this post, we'll examine the different HostGator hosting plans. 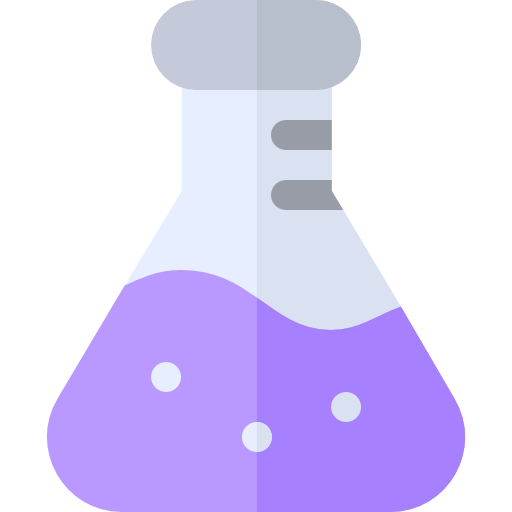 If you just want a quick recommendation- in our research, relying on Down.com's statistical tests of hosting providers, HostGator's shared hosting plans are great if you want a fast host, with best-in-class UpTime, but medicore support responsiveness. In my experience, if you're just starting out creating a website, a shared hosting plan is where to start. It's cheap and you don't need all the bells and whistles of a costlier plans until you are getting more significant traffic to your site (say 50,000 unique visitors a month). If your concern is improving the speed of your existing site, rather than change hosting providers, you could get better results optimizing your current configuration rather than switching hosting providers. I experienced increased page load speed of my sites (as measured by Google's Page Speed Insights tool), by working with a WordPress developer I hired on UpWork, than by switching hosting plans. You can email me here if you'd like to be connected with him. For the record, I initially started on a Bluehost shared hosting plan and switched to a SiteGround VPS plan. Now, let's take a quick overview of how the most popular hosting providers compare. All information comes from Down.com. They run comprehensive and ongoing tests on hosting page speed, uptime and support responsiveness to produce this comparison information. Down.com pegs HostGator as the fastest host with best-in-class UpTime, but low-rated support. They compared HostGator with other popular hosting providers including: Bluehost, DreamHost, GoDaddy, InMotion Hosting, MDDHosting, Namecheap, StableHost, and Yahoo Small Business hosting plans. As of October 2017, HostGator's shared hosting average Page Speed test score was the highest-rated with an average result of 2.85 seconds when compared with . As of November 2017, Hostgator's shared hosting UpTime was an estimated 99.97%. When buying hosting, you'll want hosting that's as close to 99.99% as possible. According to Down.com, that's a maximum outage of 5 minutes per month. According to Down.com, HostGator performed under par in their Support Response test. This basically means that, on average, you can expect somewhat slow support responses. However, Down.com hasn't re-tested their support since March of 2016- so they might have improved since then. Down.com estimates that you can expect a response, on average, within a day. As someone who's spent countless hours trying to find an honest comparison review of the different hosting plans, I've come to rely on Down.com. You may be wondering, 'why is the internet clogged with 'dishonest' reviews of web-hosting companies?' It's because web-hosting companies provide amazing payouts if if you throw business their way. And before you ask, yes, I will get a commission if you decide to purchase a HostGator hosting plan after clicking one of the links on this page. But, as you might be able to tell, I'm not writing a spammy sales pitch here. For example, I'm recommending you buy the cheapest plan to start (shared hosting) and I'm recommending that if you're a current site owner looking to improve your site's performance- try working with a developer before changing hosting providers. Shared Hosting: this is their primary entry-level hosting offering. There are 3 different plans you can choose from: Hatchling Cloud ($4.95/month), Baby Cloud ($4.95/month), and Business Cloud ($9.95/month). You'll have to buy a 36 month plan to lock in those rates. WordPress Hosting: shared hosting optimized for WordPress users. There are 3 different plans you can choose from: Starter Plan ($5.95/month), Standard Plan ($7.95/month), Business Plan ($9.95/month). Again, you'll have to buy a 36 month plan to lock in those rates. 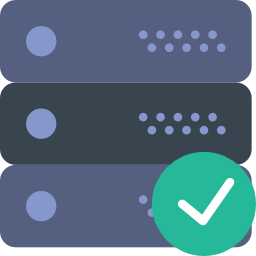 Virtual Private Server (VPS) Hosting: provides more dedicated resources for your websites than the shared hosting plans (Cloud Hosting & WordPress Hosting). This promises better performance- in my experience, if you're a new site builder, you don't need this yet. But if you have a site(s) that get more than 50,000 unique visitors a month, consider the performance improvements a VPS hosting plan can provide. In terms of pricing, there are 3 different plans with the following 36-month pricing: Snappy 2000 ($19.95/month), Snappy 4000 ($29.95/month), Snappy 8000 ($39.95/month). Dedicated Hosting: A solution for large accounts and businsses that require enterprise-level performance and customization options. Thirty-six month plans include Value Server ($119.00/month), Power Server ($139.00/month), Enterprise Server ($149.00/month). HostingFacts says that HostGator, while one of the largest, household website hosting brands, their standard, shared web hosting solution is merely adequate for someone who is just starting out. They say that it’s not for seasoned solopreneurs and bloggers who are genuinely focused on building an online business. While HostGator Shared web hosting average uptime is solid. Their speed isn't great. They are an average host, HostingFacts says. And you will find much better choices for your hard earned money. According to Whoishostingthis, HostGator is among the globe's largest web hosting brand names, recognized for its enormous scale of operations, and wide range of internet hosting services. HostGator truly does really well in providing unmetered resources on cheap plans, but be certain to get yourself a managed solution if you are not technically adept. A number of HostGator's rivals permit clients to select a data center, which is an area where HostGator could possibly do more for its non-United-States buyers. However if you simply just need sound hosting option from a recognized brand, HostGator can give your website, and your company, room to grow. According to HostingAdvice, HostGator has existed for more than 10 years and is highly regarded because of their multitude of servers and their reliable performance. Recognized mainly as a shared web hosting supplier, HostGator still provides respectable dedicated and VPS alternatives if you want your website to scale. HostGator charges a bit more than a few of the other budget, shared hosting brands, however that plays a role in their reliability and famous support. They provide respectable features contained in their standard offerings, unrestricted disk space, a pleasant user interface, and free web templates. Even though the feature collection is brief when compared with other hosting companies, you do have the option to include them as you require. Targeted mostly at the moderately skilled technical user, HostGator's versatility is their best attribute. Dedicated, VPS, and Windows web hosting can be obtained if that meets your needs. For all those than require it, SSH, root access, and support for Perl, Ruby Python, along with other computer languages can be obtained on all hosting plans. HostGator has almost unlimited options and control readily available for their hosting server, even so, they might require a bit more expertise than beginner-friendly hosting companies. If you want to web host numerous web sites, their range of products make them a good solution. HostGator delivers among the best customer support in the marketplace. This consists of 24/7 telephone and live chat support in addition to ticket based e-mail assistance. Within your web hosting dash panel, you'll find their help support portal. This portal makes it possible to discover speedy solutions from a knowledge base of over 700 articles articles and 500+ instructional videos. Each and every HostGator account is completely guaranteed by the CEO, Adam Farrar. If you happen to have trouble with the standard support, you'll be able to request your ticket to be sent to Adam. He'll genuinely respond individually to each and every ticket sent to him. HostGator provides number of hosting plans that suit all budgets and specifications. They provide every one of the tools you need to create a website. Over 2 million consumers have bought from HostGator. Regardless if you are an experienced Internet professional, or simply getting started with your very first web site, you’ll find every essential tech tool to create your internet site and boost it to the next level. According to webhostingsecretrevealed, Hostgator service quality declined after the business was bought by EIG in 2012. However according to their studies, they're confident that Hostgator has become a quality provider again. Customers usually pick a hosting company primarily based on a couple of important aspects: business reputation, cost, web hosting features, space to grow, customer care, and hosting server overall performance. Hostgator is actually exceptional in all these areas. As basic level options are inexpensive and comparatively easy to startup - it is fast to begin building your online presence with them. Because of this they think that Hostgator would work for individuals only starting out, novice bloggers searching for their first WordPress install. I don't recommend you use HostGator for website building- I build all of my sites using WordPress, which offers far more advanced customization options. If you don't want that, I'd suggest a simpler, dedicated content management system like Weebly, Squarespace or Wix- it's best to just use HostGator for hosting and go to a more dedicated CMS provider. Accoring to HostGator, however, there isn't any simpler method to create a website than using the HostGator Website Builder. The HostGator Website Builder is their means of providing their users with a straightforward point and click web site editor. This means you're able to create a professional internet site within a few minutes with some important functions like a shopping cart software, a blog, and even a payment gateway. All of this is done with no coding or website design experience- just using a website builder. HostGator's website builder features a basic plan, free with each and every Shared or Cloud Sites plan, which will let anybody build an established looking web site. They also provide upgrades for consumers seeking even more pages or capabilities. With the HostGator Website Builder, you don't need to start out from scratch. Create a website by choosing from over A hundred expertly developed web templates that look gorgeous on both desktop computer and mobile phone internet browsers. Right after choosing your desired template, it's pretty easy to fill it up with content and alter it to fit your individual style and be completely unique to you. The best of this is that you simply will be able to modify your mobile and desktop site content individually! 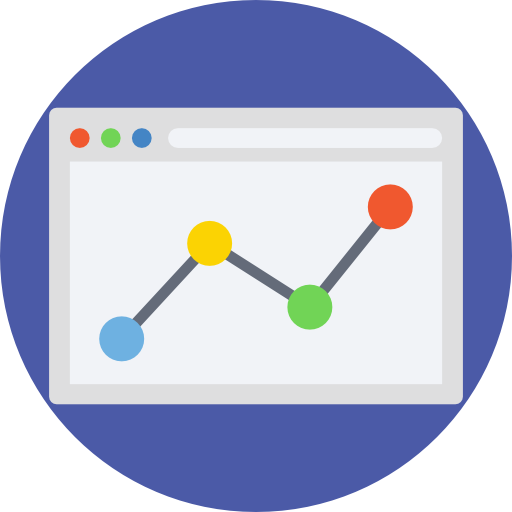 Using either their Business plan or Professional plan, Google Analytics integration is basically straightforward and constructed directly into the editor. This permits you to monitor just how well you are reaching your target audience along with your conversion rate. With their Business level website builder, you can actually produce a full product catalog, host a shopping cart solution for your web consumers, and HostGator actually, automatically incorporates a transaction gateway to work to process purchases. Everything you need to complete the package is your own credit card merchant account. Without having an account provider, they advise Payment Sphere to help you take charge cards directly. HostGator's Business level web site editor enables you to incorporate Facebook usage straight into your website. You can actually allow site visitors to like and share your products or services, articles, and pages with only a mouse click! What About HostGator Reseller Plans? Web host reseller plans have increased drastically in attractiveness in the last couple of years as web hosting companies are searching for increasingly more strategies to produce income. For customers, the possibility that it provides the chance to launch their very own website hosting business or just earn some cash on the side is incredibly interesting. HostGator continues to be one of the primary hosting companies accountable for this rise in popularity, because they provide a number of various options to make things pretty simple for people to create their own revenue. With the versatility, scalability, and robust tools they offer you, you undoubtedly can't go wrong with HostGator Reseller Hosting. Let’s examine it a bit deeper. 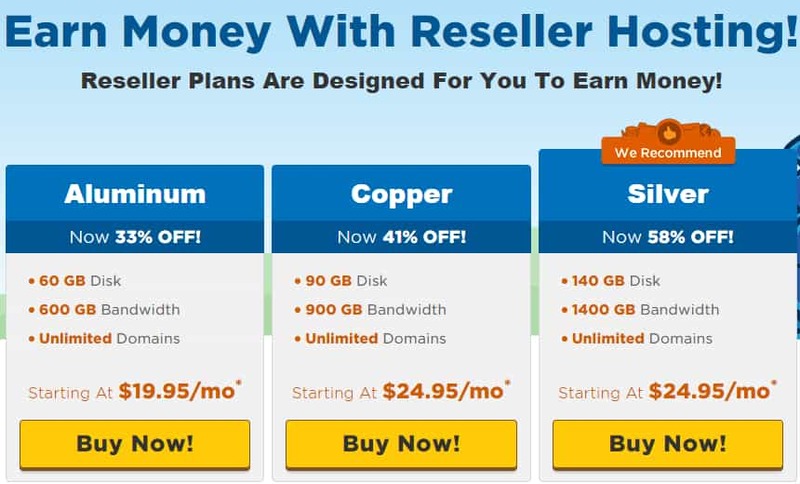 HostGator has 5 distinct web host reseller options for customers to select from. These plans consist of Aluminum, Copper, Silver, Gold, and Diamond. Each and every plan differs in the quantity of bandwidth& disk space available, although all 5 choices permit a limitless quantity of domain names to be created. HostGator uses cPanel as their primary user interface for each and every web hosting plan they offer. If you're not really acquainted with cPanel, it's commonly regarded as being probably the most simple control panel currently available and it has a lot of top quality functions incorporated. Among the exclusive benefits of the reseller program is the fact that your clients will get use of cPanel for his or her internet site. What's the Main Distinction Between the Three Plans? Although cost is clearly going to be the principal distinction between plans, the reason behind this particular difference in cost is due to the actual bandwidth and disk space that each and every reseller hosting plan permits. The Aluminum plan consists of 60GB of disk space and 600GB of bandwidth. The Copper plan is sold with 90GB of disk space and 900GB of bandwidth. Users that go with the Silver plan will receive 140GB of disk space and 1400GB of bandwidth. As for the pricing differences, the Aluminum plan is $19.95/month, the Copper plan is $24.95/month, the Silver plan is $24.95/month. 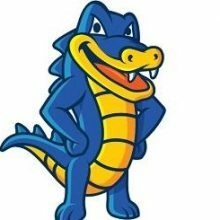 HostGator Coupon Codes- Great Strategies To Save Money! These coupon codes are applicable for brand new website hosting accounts, domain name sign ups, or both! You can start your site with a coupon code on HostGator website hosting deals. You can apply these codes on cloud hosting, WordPress, & dedicated servers. Check out RetailMeNot for up-to-date coupons. How Do You Redeem These Coupon Codes? In the course of the sign-up process, you'll be given a coupon field. This particular input field might be pre-populated, nevertheless, you can alter the default discount code to some other valid promotion to be able to increase your cost savings. Just type in the promotional code and then click the "Validate" option to have any current promo code immediately computed into your total. Web hosting coupon codes may be used to save your money on the following plans: Web, WordPress, Cloud, VPS, Reseller, and Dedicated Servers. Domain name coupon codes may be used to save money on brand new domain name registrations for the most well-known top-level domain names: .com, .org, .net, and .info. All HostGator website hosting options include 24/7/365 help support, a 45 day money back guarantee, and 99.9% server uptime assurance. SSL and Secure Certificates supply protection for your internet site by encrypting information between your hosting server and also the individual exploring your internet site. It's recommended to be utilized on e-commerce sites when taking credit card payments on the internet. SSL certificates secure information as it is transmitted over the world wide web. These certificates are needed for e-commerce sites which accept credit-based card payments on the internet; even so, they are often employed to protect transfer of data and sign in info, too. SSL certificates are usually bought for a 1-year time period and are not refundable. Your SSL supplier might permit you to buy a certification for longer than 12 months. This cuts down on the number of times you have to re-install the SSL. For circumstances where the average person is going to visit a safe and secure portion of your website (e.g., setting up a payment by charge card), you will want to use a private SSL certificate. It is specifically associated with your website name, allowing consumers the knowledge that they are on a secure internet site. Private SSL Certificates are ideal for e-commerce web sites as well as for any circumstance in which you want to protect the connection involving the internet site and its guests. Private SSL certificates are supplied totally free with HostGator's Enterprise & Business Packages, and are offered for sale with any of their other website hosting bundles (except the Hatchling plan). It is necessary for you to know what way web pages work before you try to make one of your own and before you launch it on the net. - Your browser sends a request for a page to the server. - The browser is then connected to the server via an IP Address which is obtained as a result of the domain name translating. - In return, the requested page is sent back by the server. There are Markup Languages (HTML, Hypertext) in which web pages are written. These computer languages describe the format, content, and layout of a page. The page is rendered according to its HTML code. Online servers are computers the main job of which is responding to requests for a webpage and delivering them through the internet. The pages that are hosted on a server can be accessed by anyone around the world. The online server is a 5hard drive that stores files and images of your site. If you want to host a page on a server you have to pay for it. For displaying a website on the internet, an online hosting provider is needed. It is possible for you to set up a hosting server yourself at home, but you will need a lot of knowledge and time to set up. By paying for an internet service provider you get more freedom for your site and get the opportunity of doing professional work. For creating your own site, you need a domain name first. You can get a domain name either from your internet service provider or a separate provider that is specialized in domains names. In some cases, internet service providers provide you a domain name with your account. This option may appear to be very easy, but it could be much more costly. There are a number of internet service providers that are available at different prices depending on such services as number of domains or the bandwidth provided. You need to choose carefully; otherwise, you could face periods of malfunction, slow servers or no support. In general, there are four types of hosting servers: Virtual Private Server (VPS), Cloud, Shared and Dedicated. All types of servers act as a storage space for your site; however, they are different in the amount of control, storage capacity, technical knowledge requirement, reliability and server speed. Is the host really reputable? Try doing a search for it to find what others are thinking about it. Is the price of the host reasonable? Some hosts can offer a discount for the first year. Check to see if the price remains reasonable after the first year of usage. Does the host provide the facilities necessary for you? Most hosts do offer all the basics. Yet you should check to find if you have any special requirements, for example, FrontPage extensions, a Windows server, and daily backups. Are the servers of the host located close to the target audience you have? In case the company’s servers are located in India, and your audience is, let’s say, in North America, the visitors of your site will find pages very slow to open. Is there anything your friends recommend? Internet reviews can be made-up, but honest reviews from your friends and people whom you know personally will be accurate and honest. This shared plan has a number of noble qualities. Among them are the longer-than-average guarantee for money back and a very easy-to-use interface. Here’s a quick summary. A website needs to be stable, consistent and up-and-running to be considered useful. According to HostingFacts, over the recent years its uptime hit 99.99% (which is .20% better than the average in the industry). When their website was first connected to the host, their uptimes were terrible, but over time they managed to improve. HostGator provides 24/7/365 support via the phone, email and live chat. According to reviewers, the average wait was about 16 minutes, but the representative was friendly and knowledgeable. They state that the level of the service was not fantastic, but it was still quite satisfactory. There is a standard guarantee for 30-day money back offered by most online hosts studied by us. HostGator offers a money-back for 45 days, by giving the users two more weeks for test-driving their offerings before they get locked into a 1-3 year term. If you want to relocate an already existing website over to HostGator services, it will help you with the process free of charge. And if you are interested in buying one of their premium plans, you will be provided with automatic malware removal, automated daily database backups, and an SSL certificate for processing transactions on the site. Hostgator is extremely user-friendly for beginners, especially compared to some online hosts that have very complicated interfaces. They also have FAQ pages, endless tutorials, and documents for helping you at every step, with detailed explanations and step-by-step walkthroughs. Aside from this shared plan’s redeeming qualities, it falls a little bit short in some categories that are really important (e.g. uptime and speed). Below are presented the results of our tests. Hostgator’s lackluster uptime has mediocre page loading times. According to HostingFacts, over the last year, their average has been 846ms, which is 20% faster compared to the average, which is 1059ms. That is not good as speed is factored into the ranking algorithm of the organic search (SEO) of Google and each second delayed negatively impacts sales. Load time of a site is really important, that is why it is among core metrics according to which we rank web hosts in our review. It does not have a great showing taking into account the thing that there are much smaller web hosts with less experience in delivering FAR which have better times of page loading. As advertised by the company, ‘instant backups’ are one of differentiating features they have on the site. The thing here is that they, in fact, refer to manual ones, the ones that are available in cPanel by default. If you want automated backups for simplifying your life, you will have to pay $15.95 more annually. From afar, internet service provider pricing looks really fine, but it not that good up close. In the book, the first trick is only offering their lowest rates that are for the longest terms. In this case, a user will be required to sign up for minimum three years if he/she wants the great ‘promotion pricing’ to be reflected on their site. But if a user wants an actual one month or even a one-year plan, his/her monthly rate will be over 50-150%. In the book, the second trick concerning the ‘promotion pricing’, is to offer these low advertised rates only for the initial term. That means that once the plan expires and it is time for renewing it, the rates will jump up to their ordinary pricing (which could be twice as much as the original price). Taking this into account, this host does not look like a good deal any longer. This provider does offer month-to-month plans for shared online hosting, but it pushes hard for users to sign up for much longer terms, starting at 6 months. During the process of sign up, HostGator defaults to a 3-year term. It is a bit too much to push users into such a long term from the start. HostGator offers shared packages that are Linux- or Windows-based. They are aimed at giving small- and medium-sized businesses opportunity for growth. The Hatchling plan which starts at $10.95 a month, provides unlimited disk space, databases, bandwidth, email addresses, as well as support for a domain and such third-party applications as e-commerce platforms and content management systems. 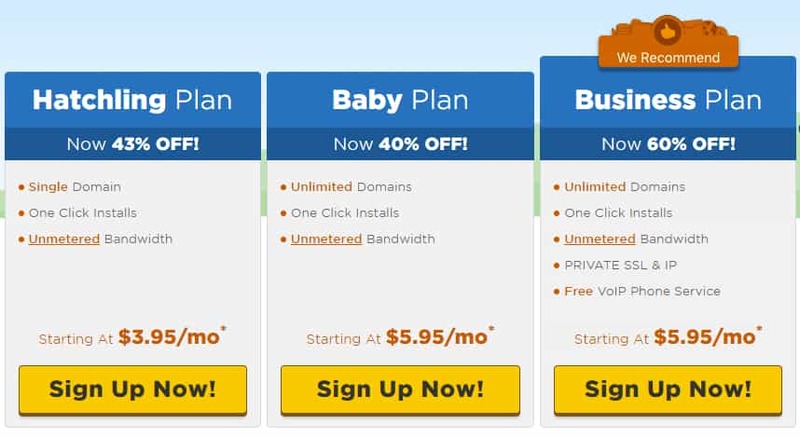 The Baby plan which starts at $11.95 a month, adds unlimited domains to the Hatchling plan. The top-tier Business plan which starts at $16.95 a month, offers highly specialized options including one toll-free number for your company and a private secure socket layer (SSL) certificate. While other popular shared hosts provide similar basic features, HostGator offers more advanced features including a toll-free VoIP number and private SSL certificate. Linux-based VPS offered by this provider starts at $19.95 monthly. In case you want more power or high traffic volumes, or if you have specific requirements according to which you are not able to use shared servers, and at the same time you do not want to pay for a dedicated server, these are good options for you to consider. Snappy 2000, the most basic VPS plan, offers 120GB of disk space, 2GB of RAM, and 1.5TB of data transfers (monthly), and starts at $79.95 a month (or $19.95 per month if you sign up for a three-year plan). The mid-tier Snappy 4000 package which starts at $119.95 a month (or $29.95 per month if you sign up for a three-year plan), offers 165GB of storage, 4GB of RAM, and 2TB of monthly transfers of data. The Snappy 8000, the most advanced plan, offers 240GB of disk space, 8GB of RAM, and 3TB of monthly data, and starts at $149.95 a month or $39.95 a month provided that you sign up for 3 years. The plans are more flexible than the ones offered by Network Solutions, nevertheless, they are not as well rounded as Hostwinds, the Editors' Choice for VPS. VPS offerings by Hostwinds are wallet-friendly and well-rounded and start at $7.50 a month for 25GB of disk space, 1GB of RAM, unlimited mail, and unlimited monthly data transfers. Plans per month scale up to $129 for 130GB of disk space, 18.5GB of RAM, unlimited emails and monthly data transfers. VPS plans offered by Hostwinds also have a Windows OS option, something not offered by HostGator. With this provider, you can install the WordPress CMS (content management system) onto any of its servers. However, the online host offers three managed WordPress web hosting tiers: Starter, Standard, and Business. Starter (starts at $14.95 a month) provides 25,000 visits monthly, the ability to host only one WordPress site, unlimited email and 50GB of storage. Standard (starts at $20.95) provides two WordPress sites, 150GB of disk space and 200,000 monthly visits. Business (starts at $27.95 a month) provides three WordPress sites, unlimited storage, and 300,000 monthly visits. All of the plans include page caching, as well as optimized WordPress hosting environment. It is easy to setup WordPress on HostGator even in case you do not follow the managed-WordPress route. In the customer portal, there is an option called Quick Links which opens a dedicated interface designed for installing some third-party applications. It also includes a handy shortcut that is called Get Started With WordPress Today which leads to the interface of Quick Links. You just need to set the path to your blog's installation, enter the username for admin account of WordPress, and click on the install button. Quite simple steps and your site will be up and running. The hosting will also automatically install the WP-Super-Cache WordPress plug-in for improving blog performance. 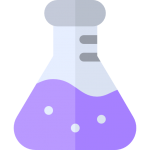 During our testing, we found that the WordPress site set up process was very easy, as the database already existed there. Under WordPress services, there is also a link taking to the Mojo Marketplace with premium services and add-ons for your blog. The hosing does not have a blog import button; however, WordPress makes the process of importing quite easy. If you are interested in getting into the business of web hosting, but at the same time you do not want to handle infrastructure issues, check out reseller packages of this provider. The plans that start at $19.95 a month, offer unlimited email. The shared, VPS and dedicated packages are of both Windows and Linux variety, but it does not provide monthly data transfers and unlimited storage at each tier, as Hostwind does with the plans it offers. However, the hosting allows you to apply your branding to the servers that you rent, and it as well provides 24/7 tech support. Dedicated server packages of this host start at $119 a month and offer a set of features. A user can customize his/her server with 32GB of RAM, 1TB of SSD storage, and unlimited data transfers (monthly), which bests all the offerings from other dedicated server packages. Dedicated servers of the hosing come in both Windows and Linux flavors, which is not very commonplace as Linux tends to dominate in the field. Actually, this shared plan is among the few web hosts tested by us that scored well and that offers both of OS. Even Dreamhost does not have Windows-based dedicated servers. Taking all that into account, the Editors' Choice for dedicated hosting is Hostwinds. Hostwinds has a great set of features. Its dedicated packages (start at $99) can be customised with up to 128GB of RAM, 3TB of storage, and unlimited monthly data transfers. In addition, the servers come in either Windows or Linux flavors. Still, dedicated hosting offerings of HostGator are not that bad. You can check them out if you need high-capacity SSD storage dedicated provider. The company was established in October of 2002 by Brent Oxley, a Florida Atlantic University student at that time. By 2006, the company had already passed the mark of 200,000 in registered domains. In 2007, the company moved from its original office Florida to a new building (20,000 square foot) Texas. In 2008, the company was ranked by Inc. Magazine in the list of fastest-growing businesses in the United States. The same year, the company made a decision to work with Integrated Ecosystem Market Services by making their hosting service green. HostGator prepared for competition with companies that provided unlimited hosting services. Brent Oxley, the founder of the company, was sure that they would be able to create an "unlimited" option and therefore increased staffing. In 2010 there was an office added in Austin, Texas. The following year, the company started its operations in India having an office in Nashik, Maharashtra. On 21 June 2012, Brent Oxley announced the company’s sale to Endurance International Group and informed employees and users that there is no need to worry because Oxley would own the buildings used by the company. He stated he wanted to travel around the world before having children. The company was then sold to Endurance International Group for as much as $225 million. As of 2013, over 9 million domains are hosted by this provider and it has more than 400,000 customers. In May of 2012, the hacker group UGNazi claimed its responsibility for having hacked the web server of WHMCS, a web host billing software developer in an obvious social engineering attack that involved HostGator. One of the members of the group called the hosting provider of WHMCS pretending that he was a senior employee. Subsequently, they were granted a root access to the web server of WHMCS after providing information on identity verification. Later UGNazi publicly leaked WHMCS's SQL database that contained 500,000 customer credit cards, cPanel configuration, and website files. After this incident, WHMCS informed customers to change their passwords. After being acquired by Endurance International, Hostgator has experienced an increased number of server outages and downtime. Particularly, on August 2 of 2013 and December 31 of 2013, Endurance International Group’s Provo data center, experienced network outages which impacted thousands of customers of HostGator, Bluehost, JustHost, and HostMonster. On April 16, 2014, Provo data center experienced a networking issue which affected customers of BlueHost, HostGator and HostMonster. The issue was fully resolved only after 24 hours on the next day. Another outage was on May 19, 2014, which took about 9 hours to resolve completely. This issue also occurred in Provo data center. On October 29, 2014, there was another major outage which affected the reseller accounts. The cause of the outage was not announced immediately, though the company stated, on their forum and Facebook, that the cause of the problem was an OS upgrade. 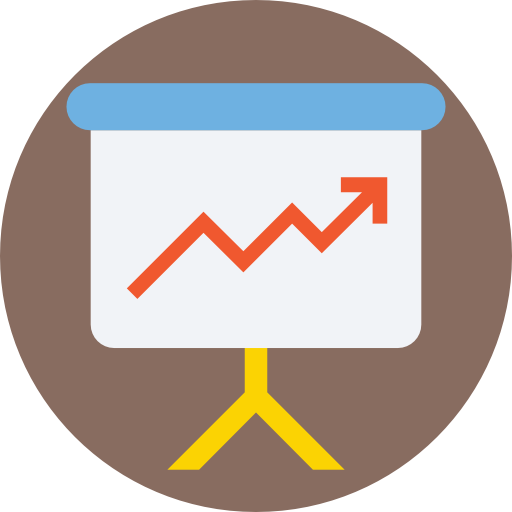 (The reseller section of the forum was made inaccessible to the public, and was visible to registered users only.) The server-level issues were resolved only on November 2, 2014, five days later. Both in the afternoon and on the evening of December 9, two years later, the company experienced another major outage. In its Twitter account, HostGator stated that there are problems with network flapping and that could be resulted by a denial of service or some other network issues in their switching fabric. The company also claimed that they are methodically solving the issue, at the same time making sure not to deteriorate the network. They apologized for the inconvenience caused and stated they were doing their best to solve it very soon. On June 16, 2017, TLDList, a well-known gTLD domain price comparison website, banned Hostgator for misleading and false advertising of its prices on the platform. WordPress is among the most widely used blogging tools around for a simple reason. It is simple to set up and offers a nice-looking, user friendly interface. At HostGator, you are able to install WordPress by means of a Quick Install run by MOJO Marketplace or manually. Note: Optimized WordPress can't be set up by using these techniques. In the Software section, click the QuickInstall symbol. Utilizing the drop down menus select the domain name that WordPress ought to be installed to in addition to any subdirectory you need the website to load from if required. Example: In the event you want your WordPress URL to be example.com/site instead of just example.com. Sign in to your HostGator cPanel. In the event you want your WordPress URL to be mydomain.com/site rather than mydomain.com. Your website will forever show this extension in the event you enter one. For Admin Email, type in a particular email address for which you want the administrative security password e-mailed to. Make certain this is a functioning e-mail address. For Blog Title, type in the title of the internet site. This is exactly what will show up in the header as the name of your web-site. For Admin Username, type in your chosen username / Your first name / Your last name. Just click Install WordPress before you go to proceed. A progress bar near the top of the page will tell you when installing is finished. As soon as it's complete, you'll be able to begin dealing with your WordPress site. Look at your email for your WordPress account information in addition to a hyperlink to your WordPress dash panel. You might also locate your credentials by clicking on View Credentials within the bar near the top of the web page. Can You Get Hosting For Free? The expense of creating and sustaining a internet site can add up rapidly. Styling, building and looking after an internet site all require payments of one kind or another. Therefore it is vital for companies and solopreneurs to minimize costs where they are able to. Website hosting is something where fees can potentially build up, as web hosting services are commonly offered with month-to-month billing. There are various companies that provide free website hosting, and while these deals won't be ideal for some enterprises, other people have a great chance to make easy and quick cost savings. Free of charge website hosting has a variety of restrictions obviously. Site speed, Server space, uptime guarantees traffic allowances, and backup provision are typical capabilities which can be limited, but that is not saying that usable, cheap hosting isn't obtainable. Please remember free web hosting is available since it enables businesses to upsell more costly website hosting services once you're hooked. As a result, free web hosting ought to be viewed as a advertising tool meaning conditions and terms could be changed frequently and since there isn't any monetary purchase, downtimes could be even more frequent. And how can you complain if you're getting it for free? You can read more here about free web hosting. ​Both Bluehost and HostGator are long time participants in the shared web hosting industry; even so, they provide virtual and dedicated options too. They are hosting companies you are able to expand your business with simply because they make scaling from shared to VPS and beyond uncomplicated. Although they have ostensibly comparable offerings, you’ll need to evaluate uptime, site building options, and domain registration features prior to making your choice. If you’re searching for more professional hosting options (VPS or dedicated), look at hardware and operating-system alternatives before selecting one of these well-known companies. Bluehost is actually a well liked hosting option for many siteowners in the shared and WordPress internet hosting spaces. They comply with contemporary specifications for hardware, and their customer service is quick to respond. For the majority of clients, Bluehost’s shared server options will support their web hosting requirements for a online presence. When you finally grow out of the site visitor allowances of shared hosting, however, Bluehost performs exceptionally well in the VPS and dedicated hosting silos, as well. Although both HostGator and GoDaddy provide shared, VPS, and dedicated hosting, both of these web hosting companies are distinctively dissimilar to each other. GoDaddy is irrefutably the web’s #1 website name registrar, and HostGator continues to be referred to as the very best host to develop an online business with, whether you're a blogger or a seasoned affiliate marketer. Both hosting providers have got perfectly inexpensive alternatives for shared web hosting, and they’re particularly receptive to novice internet entrepreneurs. We have evaluated both and today present you with our head-to-head assessment directly below. 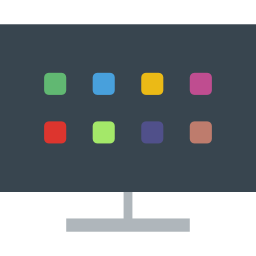 The end user management solutions are fairly popular in the web hosting space: you can choose between the cPanel or Plesk control panels, plus Root (administrator) accessibility for more seasoned clients. In case you are especially keen on webmail, GoDaddy provides their own GoDaddy Workspace feature, an easy-to-use user interface in order to keep up with the limitless email options available for you to you as a client. Pretty much everything can easily be accessed and secured using your GoDaddy sign in information that you get after sign-up. Customer service has become a emphasis of the GoDaddy team simply because they continuously make an effort to develop. Presently, they've got an award-winning group of specialists on staff, easily available to deal with customer service tickets and e-mails Twenty-four hours a day, 7 days a week. While they are readily available to speak you through any kind of problems, they are also keeping track of your server (along with other clients sharing your hosting server). Their security tracking is round-the-clock plus they guarantee uptime rates of 99.9% or better. This particular up-time rate is in no way exceptional in the field, however for the majority of site builders it is all that is needed. Their page load rates of speed (the time it requires for the web pages to load) are class competitive, however. Fundamentally, GoDaddy is a popular domain webhost for millions of consumers world-wide for a reason. They retain their customers by providing fast loading time, quality security and assistance, and a free website address whenever you become a member of a year-long plan. It is a excellent web hosting package, designed for novices and small business users at a cheap price tag. Developing a web presence with an inadequate website hosting business is like erecting a house of cards. At some point, you are likely to have some serious structural problems. Since selecting a website host is so essential, this evaluation will compare a couple of the most widely used: SiteGround Vs HostGator. HostGator is a big web hosting and domain name company with more than 9 million domains and over 400,000 customers utilizing their service. Located in Houston, they've expanded quickly since their beginning in 2002. They were purchased by Endurance International Group in 2012. SiteGround started in 2004 and today has 140 employees. They're robust supporters of open-source software, and also have custom hosting options for WordPress, Drupal, Magento, Joomla, as well as other well-known CMS programs. Presently they host over 250,000 customers globally. It is a challenging comparison simply because both HostGator and SiteGround are some of the leading website hosting offered in the entire world today. Each has a powerful subscriber base along with the determination to develop further. Both providers feature remarkable features and pricing, in addition to excellent customer care. They have the hardware as well as the software to overpower a number of other services effortlessly. You actually can’t make a mistake with either service. Both of them possess a faithful customer base that testifies to their proficiency. With regard to the comparison, however, we'd quickly suggest HostGator to our audience because of our very own experiences. Many customers have likewise stated that HostGator is superior to a great many other services, and it is undoubtedly shifting ahead of the pack. Additionally the 30-day refund coverage, and you've got a safe bet. InMotion Hosting is among the biggest third party hosting companies on the planet. They’ve been with us since 2001, and have aimed to create a brand name around being the “nerd’s choice” that companies love. InMotion Hosting has inserted themselves as the one of the handful of big, steady web hosting suppliers that isn't held by Endurance International - a holding company for a lot of popular web hosting brand names (including HostGator, Bluehost and iPage). There are plenty of InMotion Internet hosting online reviews - generally with user-submitted reviews based mostly on anecdotes, grievances, and individual experience. On the plus side, InMotion, in comparison to HostGator, has good uptime. All plans offer you limitless email, lengthy money-back guarantee, and an intuitive website-building software. On the downside, it does not have Windows servers, no managed WordPress internet hosting, and you'll Have to generate individual logins for all add-ons. In conclusion, InMotion is a feature-packed internet hosting solution that provides several appealing capabilities, but a handful of concerns prevent it from being leader of the pack. DreamHost features a endless list of capabilities to fulfill your current individual and business website hosting requirements. The business's shared, WordPress, virtual private server (VPS), and dedicated options offer you lots of alternatives for website owners to produce appealing, versatile sites. Additionally, the web host has included new web site building computer software which makes building a DreamHost website incredibly easy. DreamHost's tierless shared hosting plan (starts at $10.95 monthly, or $9.95 monthly with a one year contract) provides limitless disk space for storage, domain names, e-mail, and regular monthly data transfers. DreamHost provides you with your first .com, .net, .org, or .info domain name free of charge, however, you need to pay the registration fee for further domain names. The majority of rivals, such as HostGator, offer you limitless domain names only as part of their high-end hosting plans, helping to make DreamHost significantly appealing. Having said that, HostGator is among the handful of web hosting companieswe've examined that provides Windows-based shared hosting. This is a good thing because there are actually many companies that need Microsoft's operating-system to run certain software. DreamHost, however, only provides Linux-based web servers. HostGator also provides limitless monthly data transfers, storage space, and e-mail. If you want a winner in the Infrastructure As A Service (IaaS) solution space, you need to choose Amazon Web Services (AWS), which starts at $6,415 annually for an 8 server Web app package. As reported by Synergy Research Group, AWS is larger "than its four main competitors combined." Needless to say, AWS has been inside cloud business ever since 2006, which suggests they have been at it longer than virtually anybody else. 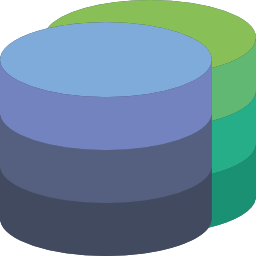 AWS is a mature option that offers a unique and diverse selection of services. While you most likely will not as amazed with its elementary level of customer service as you may be with some of its competitors, its enormous selection of services, is made only bigger by it's even larger sized set of value-add partners, enables you to develop precisely the infrastructure that is appropriate for your business. Rather than just infrastructure, its wide selection of other AWS cloud services, anything from cloud databases to e-commerce stores, you are able to build a complete workload that includes administration tools and customized coded apps. It is mainly because of this that AWS ranks so well in the IaaS category. As a web builder, Wix is an leader in the industry with regards to simplicity of use, setup time, and offered functions. The drag and drop, WYSIWYG (What You See Is What You Get) solution is without doubt among the principal brands within this sector, and that is certainly not without just cause. Getting going and acquainted with the system is an easy process, and the web sites you are able to develop will be in accordance with modern industry standards, in terms of design and style and personalization goes. While you are certainly not likely to obtain exactly the same standard of support serviceas you would from a major website hosting solution, the set of features offered and integrated within this free service is a fairly thorough list. All it requires to register is an e-mail or a Facebook profile. As soon as you are in, you are able to preview a large number of themes, all of which are split up into groups and then additionally indexed by design and style or business type. For instance, pick the Online Shop category using the Clothing & Accessories subcategory to begin marketing your t-shirts. Your punk group can show off yourrecent performances and let friends and family know of approaching shows through the use of the Music and Band categories. You are able to investigate the most widely used templates and investigate the most recent improvements.